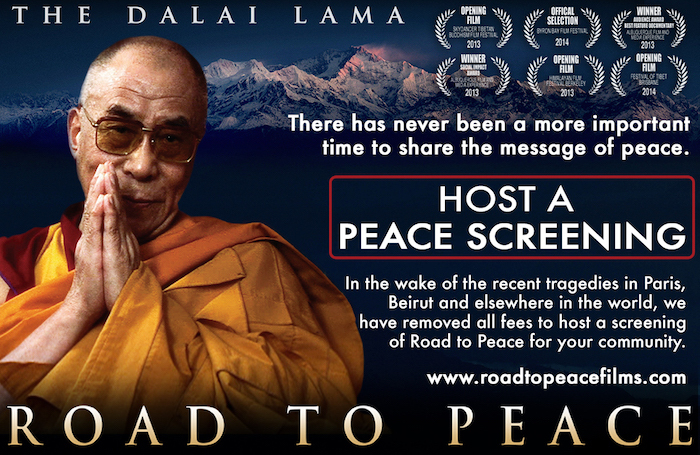 Join us at the newly opened Button Warehouse for an evening of peace, with a film screening and Q&A with the director of Road to Peace, Leon Stuparich. Tickets include a glass of mulled apple juice and popcorn! The Happy Cafe at the Button Warehouse will be serving bean burger and salad option for those who wish to eat a little something after the film. Cash/card payment in advance by phone or in person. 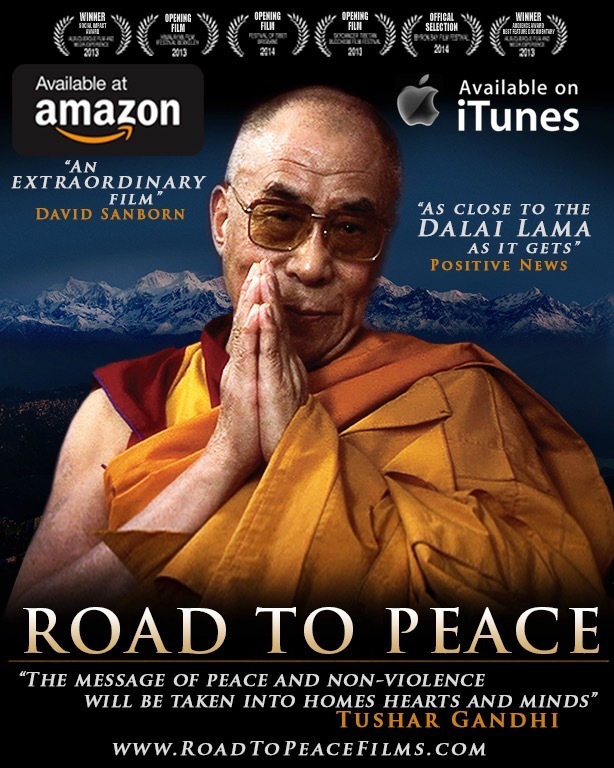 Leon is an award winning independent film-maker, who made his debut with the celebrated documentary Road to Peace, providing a rare insider view into the life of the Dalai Lama and his powerful message of Peace and Universal Responsibility.